Arrrrrrrgh! A good friend recently shared this link with me. (Warning–following link leads to stupid picture and ridiculous article. Please check your sanity points level before you engage.) It’s an article about an upcoming Anti-obesity app that will show people how they will look in the future if “their diet and exercise habits don’t change”. 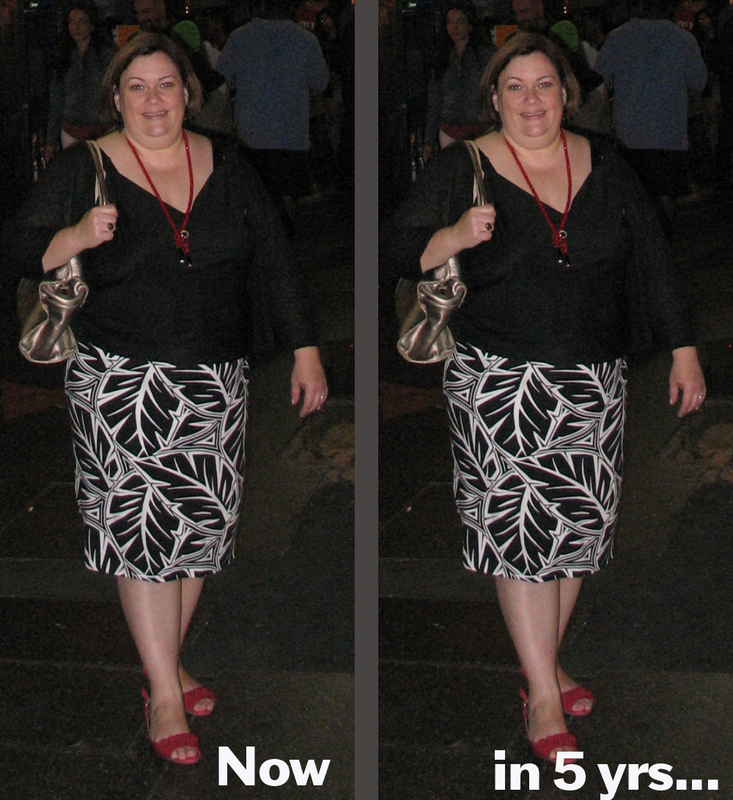 Developed by the same folks who created an anti-smoking app that shows people what they will look like if they continued to smoke, the idea is that people become so horrified at their future, fatter selves that they will magically stick to restrictive diets and vigorous exercise programs and will stay svelte and beautiful for-EVAH. It’s instructive that the story suggests that people using the app will be able to enter queries asking “what I will look like in four weeks, eight weeks, 12 weeks, 26 weeks or a year.” Because one year is about the point at which many weight loss attempts start to go south and regain becomes common. It’s interesting that the article does not suggest you will be able to ask what you will look like in five years. Perhaps that’s because by that point, you have a 90-95 percent chance of looking the same or even larger than when you started. Also, it’s been widely reported that bodies metabolize food and exercise very differently. I’m wondering how this “app” will account for that. We all know there are some people who eat a lot of junk food and spend a lot of time watching TV but never gain weight. We also know some people eat a lot of fruit and vegetables and exercise quite a lot but don’t lose a lot of weight. So how will this app account for those differences? My guess–it won’t. It will be based on some ridiculously over-simplified, generic, set of statistics that are custom-built to have the biggest impact on your “avatar” that has little or possibly even NO basis in reality. There are many things about this upcoming app that make me angry and a little crazy. 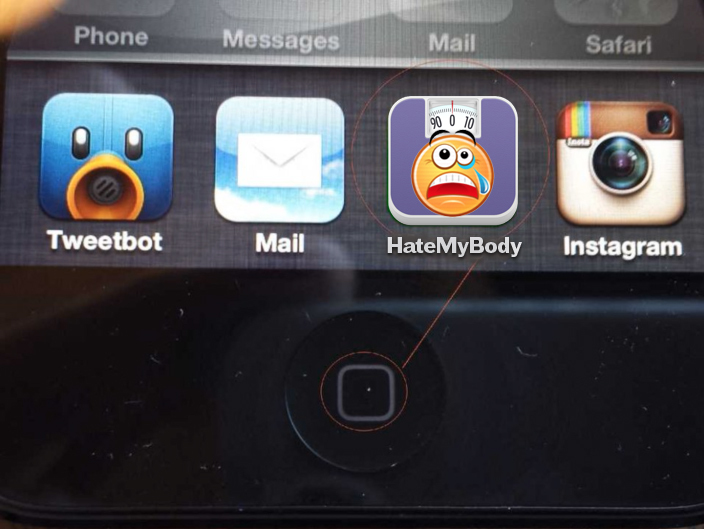 But maybe one of the things that makes me most upset is the notion that this app, built by researchers at a freaking UNIVERSITY are working with the notion that shame will help make people thin. Just how many research studies do we need exactly to prove that shame doesn’t make people, especially young people thin? Seriously?! And does the app have a convenient “Thinspo” feature that allows people with eating disorders utilize these visualization features? Come on colleges and universities! I mean, totally fabulous “Love Your Body Week” programs aside, you’ve got a way to go here. It’s not just Professor Terrible that’s the problem. It’s the fact that you approve and even allocate funding for projects like this stupid app. It’s the fact that fat people are less likely to be admitted to your universities than thin people. Maybe it’s time to stop focusing so much on people with big fat wallets and start focusing on being fair to people who are simply fat. This entry was posted in Uncategorized and tagged anorexia, anti obesity, app, avatar, body hatred, body love, Curtin University, eating disorders, Fat Acceptance, HAES, Health At Every Size, Jeanette DePatie, predictions, size acceptance, the fat chick, thinspo, University on August 14, 2013 by fatchicksings.